AUSTRALIAN winter crop production estimates continue to tumble as drought maintains its grip on the eastern cropping regions, with INTL FCStone the latest crop-watcher to downgrade its projections for wheat, barley and canola. 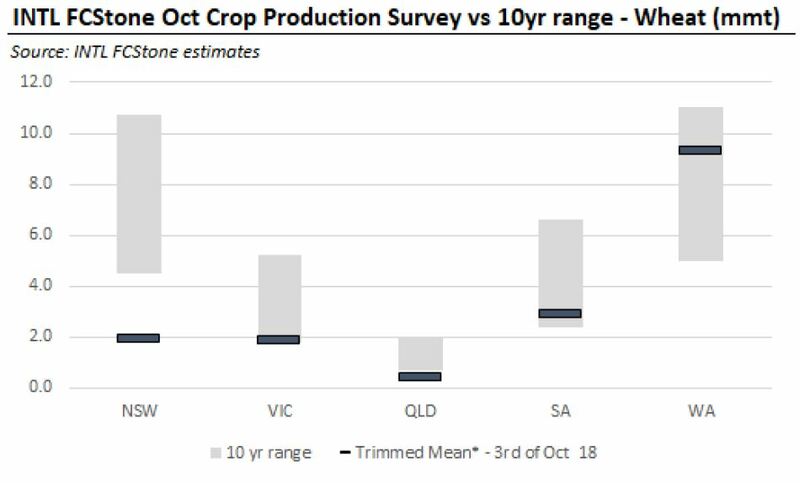 In its October Australian Crop Production Survey, INTL FCStone revised its estimate of Australian wheat production down to 16.4 million tonnes, trimming 2.382Mt from its September forecast of 18.78Mt, and well below ABARES September forecast of 19.1Mt. Likewise, barley production is now estimated at 6.63Mt, down 1.034Mt from INTL FCStone’s September figure of 7.7Mt, and below ABARES September estimate of 8.3Mt. It is a similar, but less dramatic, story for canola which INTL FCStone now estimates at 2.23Mt, slightly down from the September survey of 2.5Mt. INTL FCStone senior risk management consultant, Nick Carracher, said conditions had been so poor and variable that the pressure was always going to be on the October estimates. “It is a continuation of the theme we have seen this year. While you have to acknowledge the Australian wheat crop is all about spring, every week we have gone through this season has validated the idea that the West is going to be satisfying the East’s demand,” he said. Mr Carracher said a key element this year had been the lack of roughage in the East and the wide extent of haymaking from crops, making it hard to determine the material impact on final production figures. “We don’t really have a year we can compare this one to. 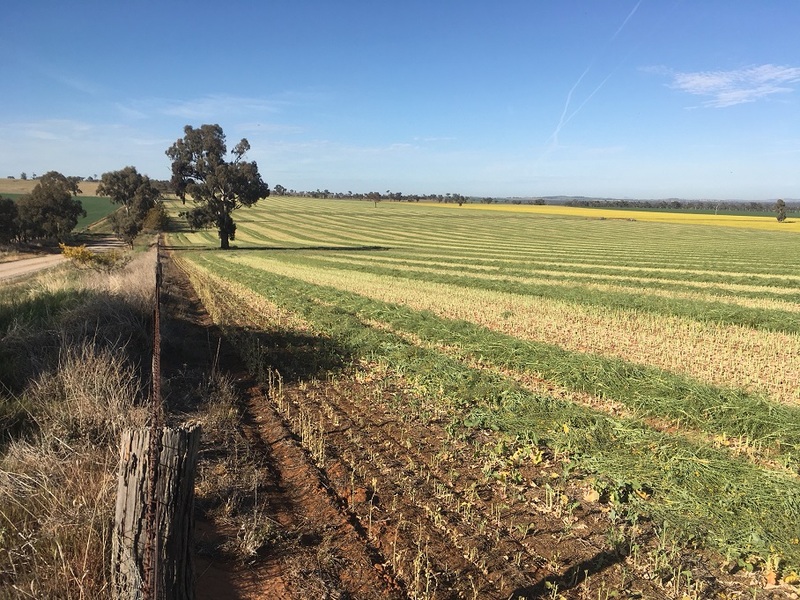 In the past we have had an idea of where production will come out, but not only the seasonal conditions but the market forces of having an extremely robust hay market makes it hard to judge how it will impact the absolute production figure,” he said. Mr Carracher said the potential for further rains raised the question of what impact that would have going forward. 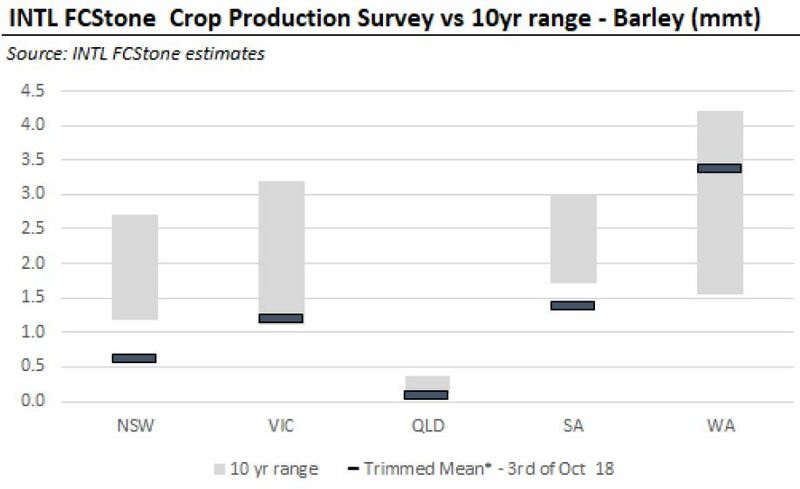 “The interesting component of these estimates is that we are getting rain in the north at the moment, and if the eight-day forecast for rain materialises and suddenly people have faith in the sorghum market, what will that mean for the east coast estimate? It will be interesting to see,” he said. Mr Carracher said while people focused on the overall production figures, it was ultimately the export figure that was the key to the market. “The range on export estimates is huge. The USDA (United States Department of Agriculture) has Australian exports at 14Mt. I think the likelihood of us exporting 14Mt is very low. Even if we have an exportable surplus of 7Mt to 8Mt, what is the value of that first tonne you have to market into the international market?” he said. 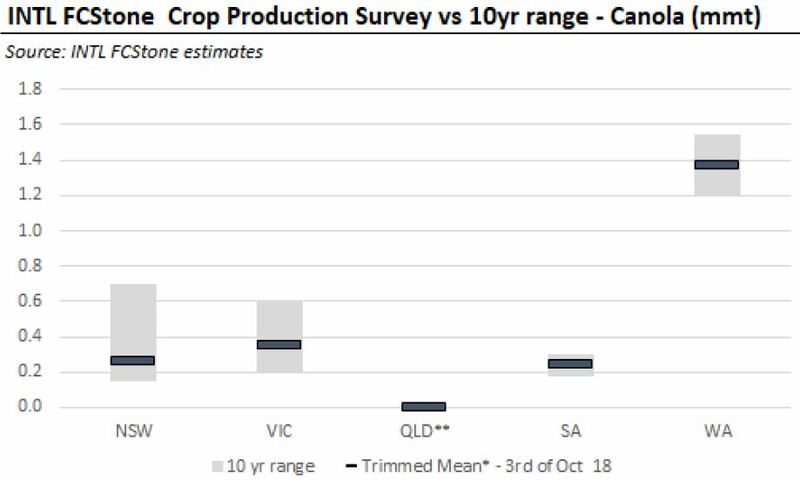 According to INTL FCStone analysis, Australian winter crop production, overall, this year is below the 10-year range in all states, except Western Australia (see charts below).